Trash. We’ve become quite good at hiding it away. 5000 YEARS AGO, the first recorded landfill was built in the Cretan capital of Knossos. Garbage was buried in large pits and soil layered throughout. We’ve progressed since then. With our creativity and technology, we’re now dealing with buried waste in an effort to make it safe for the environment. We’ve even found a way to harness the power from landfill gases released when organic materials decompose. 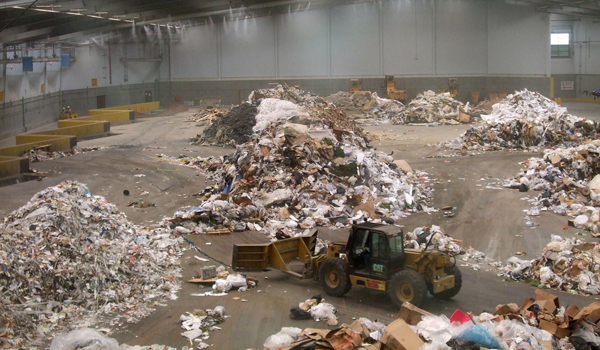 Despite the efforts of scientists and experts, landfills remain a massive problem. Simply put, we create too much garbage. In our culture of disposable convenience, millions of us toss away items like plastic bags and take-away coffee cups every day. Today’s gadgets are cheaply produced, which translates into products of degrading quality. It’s more cost-effective to replace these things than to repair them. Where does the old stuff end up? In our rubbish bins of course, which are conveniently carted away every Wednesday morning, out of our lives forever. The world’s largest landfill isn’t even a landfill at all. In the northern Pacific Ocean is an area roughly the size of Africa, stretching from Hawaii to Japan, which is swirling with our throwaways. The Patch is really two separate entities– the Eastern and Western Garbage Patches– connected by a 6,000 mile current that is also full of trash. 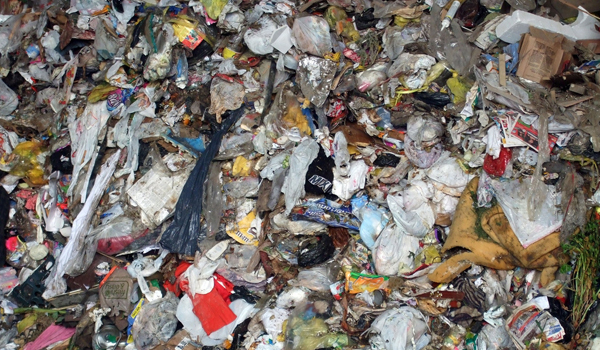 Four-fifths of all the refuse comes from land, and 90% of it is plastic. Plastic breaks down into tiny particles that soak up toxins like a sponge and are then consumed by filter feeders. A host of other animals, including humans, are exposed to these poisons via the food chain. Additionally, sea birds and animals such as turtles inadvertently feed on things like lighters and bottle caps, clogging up their digestive systems. The Hawaiian archipelago acts as a filter for trash spewed out from the Eastern Garbage Patch, with some beaches buried under five to 10 feet of refuse. Some are covered in “grains” of plastic that are near impossible to clean up. Closed in March 2001 and temporarily reopened after the 9/11 attacks to receive debris, at 2,200 acres Fresh Kills was formerly the largest landfill in the world. During its most active period the site welcomed up to 20 barges, each carrying 650 tons of garbage, daily. At the time of closing, the landfill’s tallest peak was 25 meters higher than the Statue of Liberty. Shutting the gates doesn’t make the trash go away. The mounds are being capped, soil laid on top, and a park is being built above the dump over the next 30 years. As a continuous chore, leachate– liquid produced by decomposing trash– must be monitored and dealt with, as does the landfill’s gas emissions. at which time a new dump is planned to be opened at an abandoned goldmine in the Californian desert. As a nation, the UK ranks at the top of the European Union as far as binning rubbish is concerned. 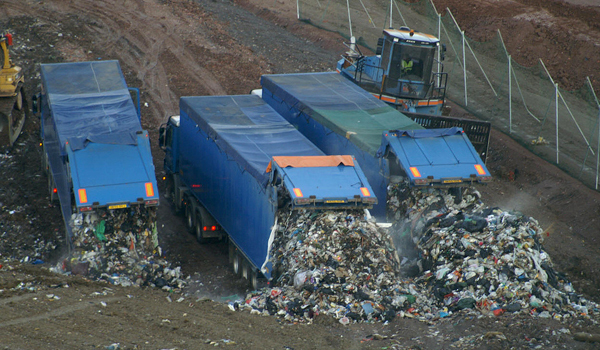 From the most recent comparative figures between EU countries, UK residents sent to landfill an amount equal to what the bottom 18 countries combined did in the same time period. This is despite the UK’s population being half that of these countries’ put together. Yes, beautiful green spaces can be built over landfills and energy derived from their emissions to power cars, but these are just pretty band-aids on a large wound we’ve inflicted upon the Earth. 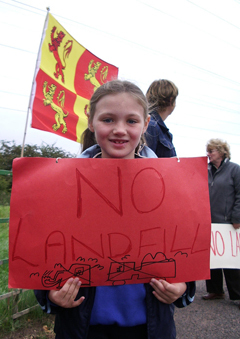 Continuing to bury our refuse is not a sustainable option. We must scale back our production of waste. 13 essential expressions to learn before you visit L.A.